The House Democratic leadership’s obsession with asserting a “centrist” – that is, fiscally conservative – fiscal ideology threatens to put the party at odds with its base. It endangers the party’s chances of retaking the House, and will make it difficult for Democrats to offer a credible alternative to the failed conservatism of Trump and his party should they win in November. Nancy Pelosi recently spoke to a forum hosted by the Peterson Foundation, which was founded by conservative billionaire Peter G. Peterson to promote his own obsession with reducing the federal deficit. Before his death earlier this year, Peterson spent hundreds of millions of dollars inculcating his brand of debt-fixated fiscal conservatism in politicians, journalists, and policy advisors. As The Hill observes, Pelosi adopted a similar “pay-go” rule when she was Speaker of the House. The rule obliges Congress to “find the money” for any new expenditures, either by raising taxes or cutting spending elsewhere. Steny Hoyer, the House minority whip, echoed Pelosi’s remarks. “The pay-go rule is a good rule and we ought to reinstitute it,” Hoyer told The Hill. It’s reasonable to assume that Pelosi and Hoyer are chasing big-money contributors’ dollars with these remarks, since so many wealthy donors share Peterson’s deficit fixation. Self-interest undoubtedly plays a major role in the big donors’ feelings on this subject. After all, it’s hard to pass tax increases as long as Republicans hold any political power. That leaves only spending cuts, which reduce the long-term pressure to raise taxes on the wealthy. But Pelosi and Hoyer aren’t just making a play for money. They are also waging an ideological battle against the growing call for an expanded and more direct role for government in American life — a role that will require increased spending. Pay-go is not a good idea. In fact, the Democratic Party’s fixation on “paying for” every new initiative may have been its greatest blunder of the last thirty years. It has prevented the party from embracing the kind of bold initiatives that could have won it broader support. They include Medicare for All, tuition-free higher education and the cancellation of student debt, major infrastructure spending, and a federally-guaranteed job for every American. The idea, which makes intuitive sense, remains controversial in some economic circles. 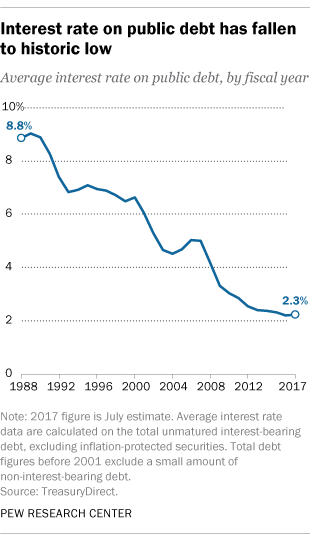 Here’s what isn’t controversial: the federal government’s cost of borrowing has been at historic lows for years. This provided the opportunity to borrow for programs that would improve people’s lives and expand the economy, which is the kind of investment government should have been making. Republicans played the Democrats for suckers on this issue. They pretend to be concerned about deficit spending whenever Democrats are in power or progressive programs are proposed. Then, as soon as they’re in the driver’s seat, they ignore the issue again, giving out tax cuts and military contracts like candy. A “pay-go” rule is bad politics. For one thing, it’s an “inside baseball” issue. To the extent that voters understand it at all, it reinforces their perception of Democratic politicians as process-fixated elitists who care more about following the rules than they do about getting things done for the people. It makes them look like the kid in fourth grade who tattles on other kids for not standing in a straight line during recess. Worse, the Democrats’ talk about pay-go reinforces right-wing economic ideas. It convinces the press and the public that spending must be cut. That gives power to traditional conservatism, which always benefits Republicans. Social Security is self-supporting through payroll tax contributions and is forbidden by law from contributing to the federal deficit. But that’s how politics works. Once you reinforce your opponents’ ideas, they’ll use them against you every chance they get. They won’t try to be fair about it, either. Still, Trump’s excesses seem to have energized the Democratic base. What if, despite themselves, Democrats manage to retake the House in November? If that happens, they’ll have one job: to pass bills that will make life better for the struggling American majority. A GOP Senate would reject those bills, of course, and Trump would almost certainly veto them. But voters would see those bills being passed, and they would see who is preventing them from becoming law. That could change the political direction of the country. Unfortunately, House Democrats who are hamstrung by a “pay-go” rule wouldn’t be able to pass most of those bills. Once again, they’d be seen as placing political process over public need. That’s how you challenge conservative ideas. There is an ideological war underway in the Democratic Party, and pay-go is one of its battlefronts. Schatz and Grijalva are on one side of that war, while Pelosi and Hoyer are on another. Polling shows that the Democratic Party’s base wants to see it move to the left, which should give the Schatz/Grijalva position added heft. But Pelosi’s leadership role gives her comments considerable authority. And she is not shy about claiming to speak for the party, as she did when she told the Peterson forum what “Democrats believe” about pay-go. To be fair, Pelosi is a liberal in the classic sense. The House passed a number of progressive bills during her tenure as Speaker. If she had received enough support from the White House and Senate Democrats, the political trajectory of the last ten years might have been quite different. But when she talks about pay-go, Pelosi is staking an ideological position. If a position like that is not challenged by either major political party, it quickly becomes conventional wisdom. Other ideas are treated dismissively, a process that can reveal itself in subtle ways. To The Hill’s reporter, for example, Pelosi’s pay-go comment provoked “howls” from progressives who “could create a headache for Pelosi and other party leaders.” Her position was granted a certain gravitas, but theirs was treated like the buzzing of mosquitoes in the ears of the powerful. Still, The Hill was fairer to the left than many publications of its kind. It published the left’s comments, something many other publications might not have done. He means, of course, the candidates who share his right-leaning ideology. Those candidates are stamped from the same ideological mold as most of the losing Democratic candidates of the last ten years. Calls for Democratic unity are premature. Democrats are debating important ideas, including the importance of deficit reduction and the “pay as you go” principle. If the left loses that debate, the party is likely to lose later — either this year, or in years to come. It shouldn’t be silenced. Besides, the silencing of dissenting voices could be called many things, but “democratic” isn’t one of them.